GOD EQUIPS THE CALLED. ARE YOU CALLED? CLICK HERE TO CLAIM YOUR SEAT! Thank you for your interest in the PraiseMoves Instructor Certification Program! CPI APPLICATION available here. We receive requests from WOMEN and MEN throughout North America, Europe, Asia, Australia and Africa looking for PraiseMoves classes they can take. The world NEEDS more Certified PraiseMoves Instructors (CPIs) — Are YOU being called to be a CPI? The release of the PraiseMoves DVDs from Harvest House Publishers, our television programs, magazine articles and interviews have brought an increased awareness of the first Christian ALTERNATIVE to yoga (PraiseMoves is NOT so-called “Christian yoga,” which we consider an oxymoron/contradiction in terms since “Yoga IS Hinduism” according to many Christians and most Hindus! See article which explains this in full.). 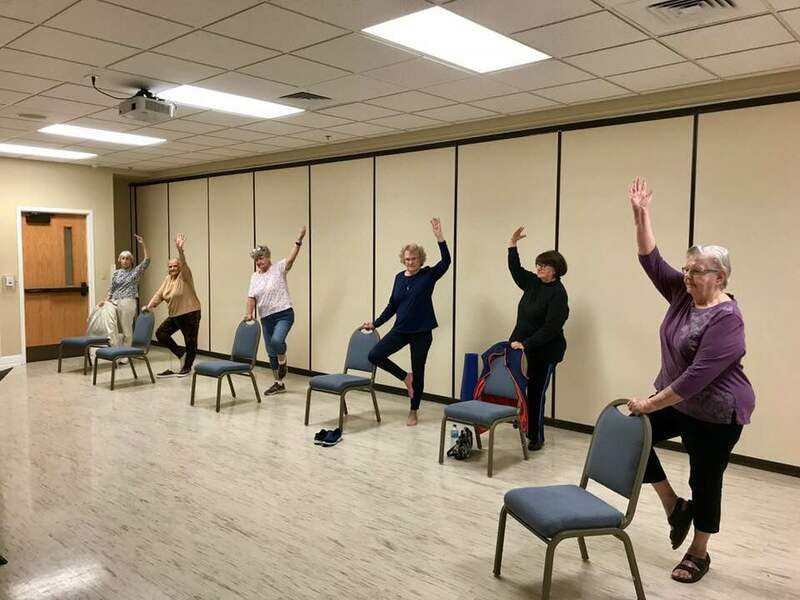 Perhaps you know of others at your church or in your community who would be interested in starting a Fitness Ministry or earning a nice part-time income offering PraiseMoves classes at church, a local gym, community center, school, senior center or their home. Of course, charging for PraiseMoves classes is optional, but when we consider that millions of people are spending billions of dollars on yoga classes, a dedicated PraiseMoves instructor is certainly worthy of his or her hire. The Lifted Gates posture with Hayley Tate, CPI of North Carolina, USA. – The PraiseMoves Classic DVD Download – Includes 60-minute and 20-minute workouts. Plus Bonus Sections AND 16-page eBooklet. Outlines correct breathing techniques, 22 basic PraiseMoves postures, and several flowing Scripture Sequences. – The PraiseMoves Training Manual (history and benefits of PraiseMoves; dynamics of stretching; Basic Anatomy; the Muscular System; Muscles and the PraiseMoves postures; outline of PraiseMoves workout; low-impact aerobic dance steps; Walkin' Wisdom Warm-ups; all PraiseMoves postures w/photos – plus new PraiseMoves postures; Scripture Sequences; PraiseMoves Alphabetics w/corresponding scriptures; reviews, and sample exam). – How to Start Your Own Fitness Ministry Manual – Everything you need to start your own PraiseMoves classes from finding students and workout spaces to finances and ministry. NOTE: Downloadable versions of the original PraiseMoves DVD, the PraiseMoves Training Manual and “Start Your Own Fitness Ministry Manual” are included with your CPI certification course. Arlene Lumbao, CPI's class in the Philippines. Class doing the PraiseMoves Alphabetics posture, Lamed (The Tongue: “Death and life are in the power of the tongue, and those who love it will eat its fruit.” Proverbs 18:21). – Teacher Certification Weekend – Held at various locations around the U.S. (See HERE for dates and locations). Certifications are held during a One-day Certification “Blitz” usually from 9am-6pm. Classes outlining all aspects of PraiseMoves and the final exam will be given, followed by a Teacher Certification ceremony awarding Certificates of Completion. Most students devote 100 hours over 6-8 weeks to study, practice videos and attend the Live Certification. – ONLINE Training – PraiseMoves LEVEL I Certification (and Recertification). You can now request to take part in one of our Online Webinar series which take place every February and September. In-person *live* certifications are also available. Now those who would prefer online training from anywhere in the world can certainly do so (some may want to do both, at no extra charge). Eight (8) in-depth online webinar sessions over 4 weeks with Dr. Laurette Willis, PraiseMoves Founder, NolaJeanne Baird, Master CPI Trainer, and Jessica Guthrie, CPI Trainer. While individual times vary, most students devote 100 hours before and during the 4 weeks to study, prepare their videos and take part in the Online Certification. See Online Training dates HERE. Dr. Laurette Willis doing The Cross posture. “When He had called the people to Himself, with His disciples also, He said to them, “Whoever desires to come after Me, let him deny himself, and take up his cross, and follow Me'” (Mark 8:34). This is also Tav, the Hebrew Alphabetics posture. 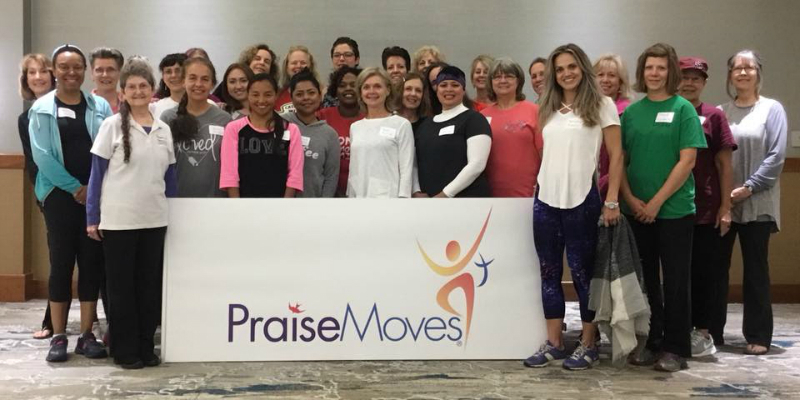 – Only Certified PraiseMoves Instructors (CPI’s) may use the PraiseMoves® name (a registered trademark with the U.S. Patent and Trademark Office) and teach the copyrighted PraiseMoves material. – Graduates of the training will be able to call themselves Certified PraiseMoves Instructors (CPIs), use the registered PraiseMoves trademark in their advertising and charge for group and private classes. 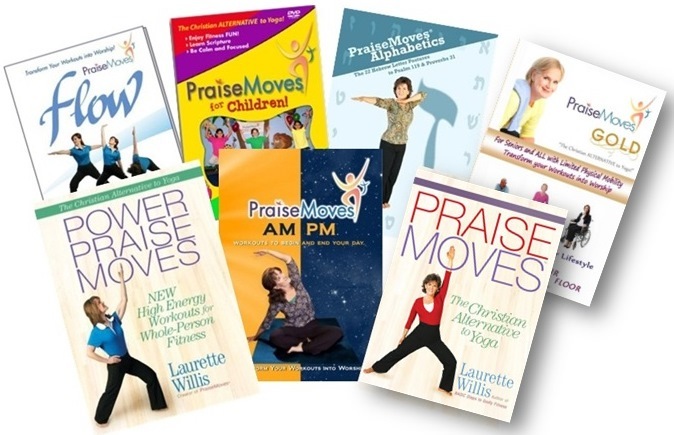 – CPIs and CPIs-in-Training receive 40%-50% off all PraiseMoves products (DVDs, books, CDs, etc.) which they may sell to their students at retail. – CPIs are the only ones who can also train to become certified to teach MIRA! (Christian Fitness with a Latin Beat), PraiseKicks (Kickboxing with the Word), PraiseMoves Gold (to teach seniors and those with limited mobility), Prenatal PraiseMoves, and PraiseWaves (Aqua PraiseMoves). – From time-to-time, we hold specials for more % off and contests for products, prizes, money and more! – CPIs’ information and classes are listed on the main PraiseMoves website free-of-charge so prospective students can find you. – CPIs will have access to PraiseMoves devotionals which can be held in conjunction with PraiseMoves classes. – CPIs will be able to offer the trademarked “Fitness for His Witness” seminar to area churches as a way to introduce them to their PraiseMoves classes. 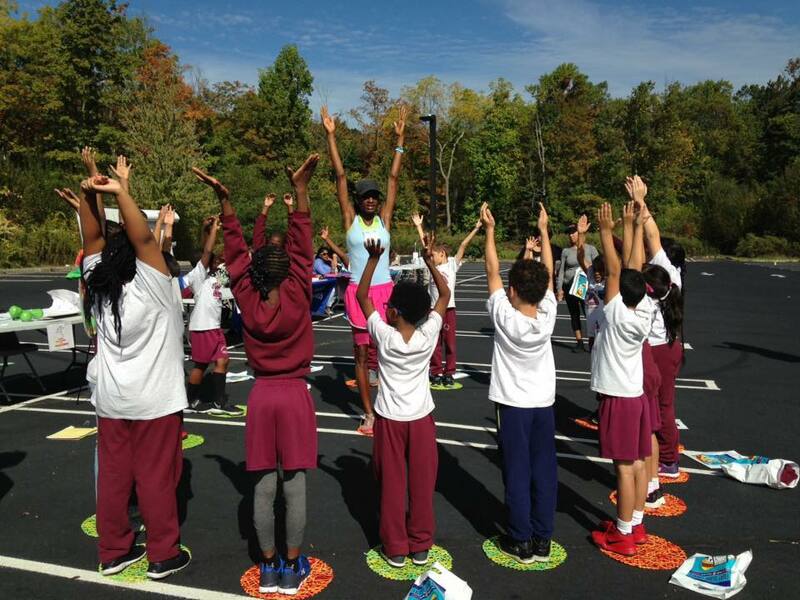 PowerMoves Kids Character Education/Fitness Program for the Classroom. Find out more at http://powermoveskids.com. PowerMoves Kids! For public schools, private schools, and home schools. CPIs can teach this, as can ANY teacher. Endorsed by the US Dept. of Education. 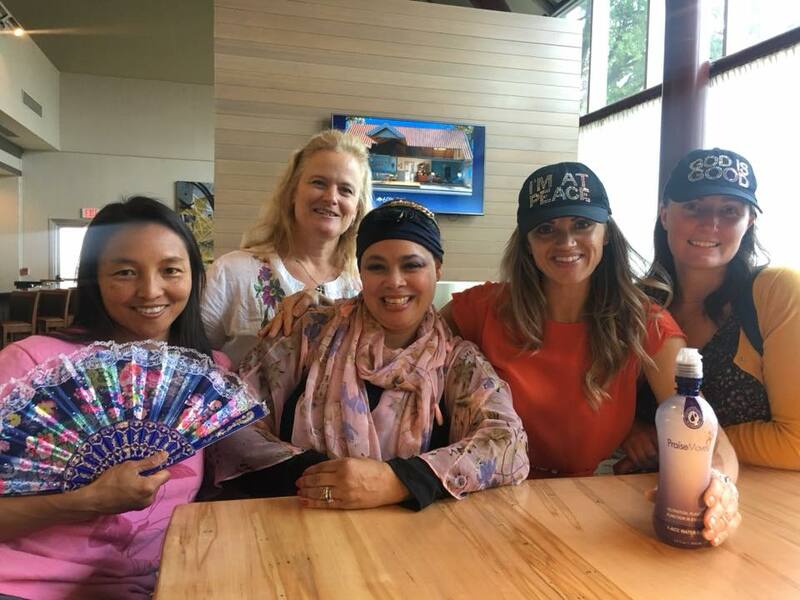 – CPIs will be on the leading edge of a new wave of Christian fitness, countering the popular and deceptive practice of yoga and “new age” mysticism. – Follow-up support and prayer are always available, as well as new routines, fellowship, and continuing education workshops. – Contests, special events, recognition (CPI of the Year, CPI Rookie of the Year, Eagle Award) and yearly reunions (PraiseMoves International Conference) are available. – And perhaps most exciting of all, CPIs will have the opportunity to minister to the Body of Christ and those who are searching for Him. 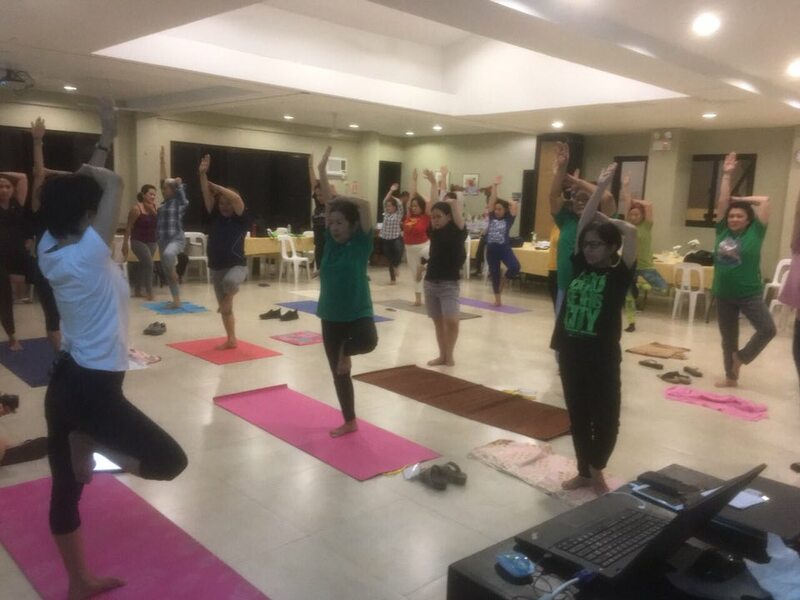 – As we develop other programs, CPIs will have access to them (such as PraiseMoves Gold for seniors, MIRA!–“alternative to Zumba,” Prenatal PraiseMoves, and PraiseWAVES in the water!). – CPIs are invited to join our Private Facebook group and CPI Forum – open only to CPIs – a Forum of sharing, advice, downloadable files and marketing materials, prayer, support and networking among all participating CPIs. Files of Lesson Plans, brochures, cards, PowerPoints, new PraiseMoves postures, etc. can be downloaded as files on the Forum, too. The Fitness Ministry is a viable, much-needed ministry at a time when Christians match or exceed the general population in weight-related illnesses and disease. Also, churches are looking for new ways to attract people who are searching for Christ. 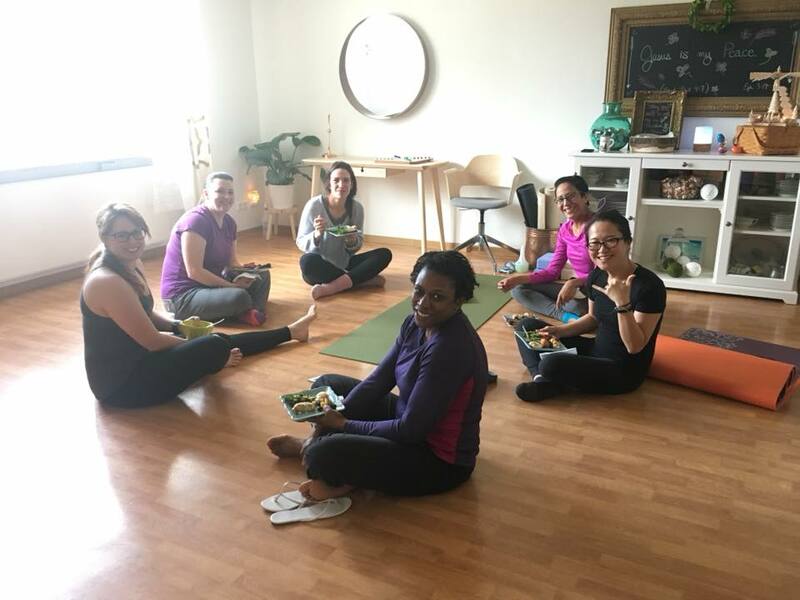 Friendship Evangelism in the form of inviting an unsaved friend or neighbor to a fun “alternative to yoga” class is a wonderful way to introduce them to fellowship with believers. They'll hear the Gospel in a relaxed atmosphere. After the class questions can be answered, information made available, and prayer offered. I believe many will be won to the Lord. After-class fellowship with Annette Sowders, CPI's class in Germany. Are there strict standards to become an instructor? We are looking for mature, stable Christians who believe the Lord is calling them to be part of the PraiseMoves Fitness Ministry. While it would be helpful to you if you've taught exercise or some other sort of classes before, it's not necessary. These are skills you can learn. If you are not at your “ideal” weight yet, that's okay. We are great believers in “progress, not perfection.” If you are overweight, however, it is important that you are working toward reaching a healthy weight for you. People will be looking up to you as a PraiseMoves instructor and mentor. You’ll want to have a testimony of how the Lord has helped you lose weight and become healthier – a testimony of how PraiseMoves has assisted you in reaching your goals would also be good. So, if you have a desire to share PraiseMoves with others and believe God is calling you to step out, c'mon and step up! You will need to be CPR-certified. This can be done in your hometown or nearest large city. Call your local hospital or the American Heart Association to find out about CPR training in your area (fees run anywhere from $25-60 for certification). You can also get CPR-certified online at www.CPRCare.com. If you already have an up-to-date card, please make a copy of it and submit it with your application. Kim Todd, CPI's PraiseMoves Gold Class at an Assisted Living Facility in New Jersey. Students repeat the scripture which accompanies The Rainbow posture: “The rainbow shall be in the cloud, and I will look on it to remember the everlasting covenant between God and every living creature of all flesh that is on the earth” (Genesis 9:16). Important: As a CPI or CPI-in-Training, it is important that you notify us of any changes to address, email and phone number so we can contact you. News organizations and magazines often contact us for interviews, and some have visited CPI classes. We need to be able to contact you if such an opportunity arises. There are also changes and additions to PraiseMoves postures and programs which would be helpful to you and your students. Updates are sent out periodically and are also available on the CPI Forum group on Yahoo, open to all CPIs. Please Note: Dr. Laurette Willis or members of the PraiseMoves Team may contact Certified PraiseMoves Instructors from time-to-time, especially for prayer, support for classes, or to address concerns we or CPIs may have. 1. Full payment of $395 with application for Training materials, Online or Certification weekend training, Certificate, and first year's license to teach PraiseMoves classes. If you take the Online training, you may go to any Live training for free, and vice-versa. 2. Outside of the U.S. – Instructions are on the application to submit via email and fee via PayPal. We are helping people around the world who are taking our Online Training. We look forward to hearing from you! 3. While the original PraiseMoves DVD download comes with your training materials, we strongly recommend purchasing the 20-Min. PraiseMoves DVD (w/beg., int. & adv. Workouts with modifications) and PraiseMoves Alphabetics (the Hebrew letter postures) if you don’t already have them. See downloadable and streaming options in the store. * Yearly renewal on your Certification anniversary is $125.00 the first year only, to keep your credentials and benefits current. The second year and thereafter, your yearly renewal fee reduces to only $75 per year. * Every two years CPIs are expected to take Recertification Training online to keep up-to-date on the latest PraiseMoves postures and keep their skills fresh. Recertification training is Free-of-Charge, and can be done Online or at the Annual PraiseMoves Conference. CPIs fellowship at the annual PraiseMoves Conference in Tulsa, OK at the Crowne Plaza Hotel across from the Praying Hands at ORU. Renewal Fee is every year, and free Recertification Training is every 2 years. The CPI who charges for classes may earn their enrollment amount back with the first series of classes they teach. For example: 25 students @ $5 per class (estimate) for 8 weekly classes = $1,000.00; 10 students @ $8 per class for 6 weeks = $480.00. Of course, not everyone will earn the same amount. Some choose to give classes on a donation-only basis; others will have smaller enrollments while some CPIs may choose to charge more for classes. Some CPIs who teach PraiseMoves classes at their local church donate or share enrollment fees with their church for a missionary fund, youth trip or special project. Some who teach at their local YMCA or fitness center are guaranteed a certain amount per class no matter how many students attend. To keep finances in perspective, consider that yoga teachers generally charge $8-$25 per class, depending on the area of the country. Among CPIs, the focus tends to be more on the rewards of ministry and less on the financial compensation of teaching classes. This is one of the reasons we recommend you pray to ensure that the Lord is calling you to become a Certified PraiseMoves Instructor. If you are considering becoming a CPI because you imagine you can earn a lot of money, your focus is on the wrong thing. PraiseMoves Instructors are often invited to present at Christian Conferences and Retreats. 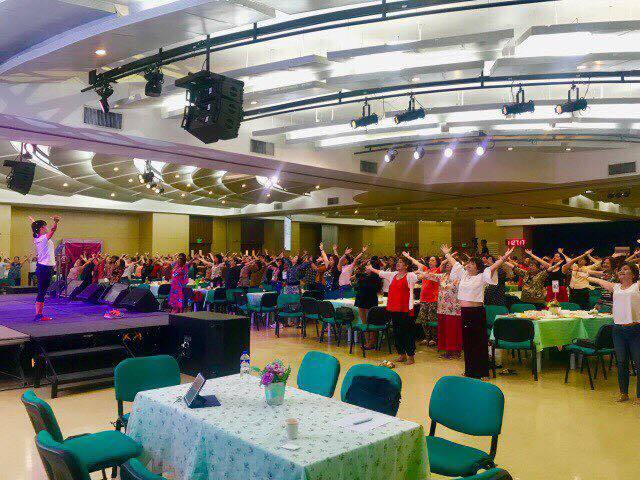 Here, Arlene Lumbao, CPI is at a women's conference in the Philippines. Application Denial or Cancellation: In the rare instance that an Application is denied, the application fee is refunded, less a $15 review fee, with a letter of explanation. If an accepted applicant (CPI Trainee) changes their mind and decides not to go through with training within 30 days of having been approved, the application fee will be refunded less $50 application processing fee. Refunds take 2 weeks to process once materials have been returned. In light of the extensive work which goes into preparing the CPI Trainee for training, no refunds will be given for requests made within 2 weeks of the CPI Trainee's scheduled training date, or 30 days after having been accepted to train as a CPI. They can request to reschedule the class date, however. You have one year from the time your application is accepted to take your training; after that time, you would need to reapply. Whose leaf also shall not wither; And whatever he does shall prosper” (Psalm 1:3). Full attendance at the Teacher Certification weekend is required to receive credit and certification. For example, if the training times are 9:00 a.m. to 6:00 p.m., one is expected to be at the training from 9:00 a.m. to 6:00 p.m. If a CPI-in-training arrives late or leaves early, they may have to take the training again at a later time. Since the training “Blitz” is presented in a compact format over a short amount of time, all parts of the training are important (and what is “caught” is often of equal or greater value than what is “taught”). Please consider this when making your travel arrangements. Since this is a rigorous one-day training, it is important that you arrive the day before the training in order to be well-rested for the full-day event. For fun and fellowship, we like to have dinner together after the training at a local restaurant to get to know one another a little better. While we would LOVE to have you join us for this, it is not mandatory if your travel requirements necessitate your leaving directly after the training. Lasting friendships often begin during training, and it’s great to network with other like-minded members of the Body of Christ. We hope you can join us! MIRA! 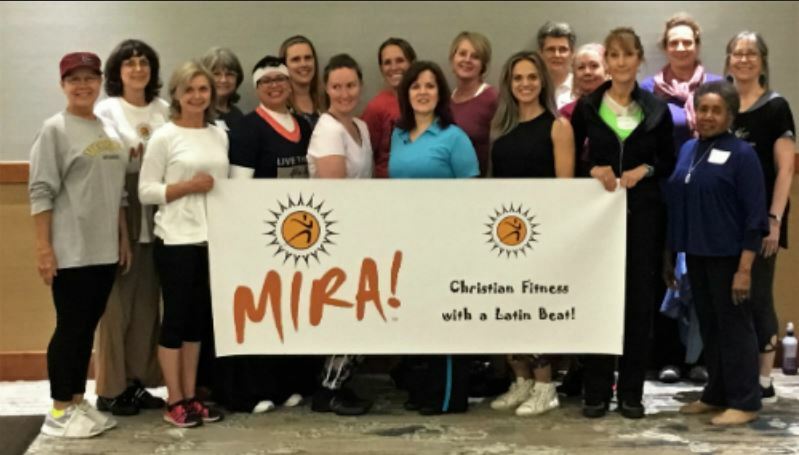 (“Christian alternative to Zumba!”) certification with Dr. Laurette at the annual conference in Tulsa, OK.
All 8 sessions are recorded and are released one-at-a-time over the course of 4 weeks (Mondays and Thursdays at 1 PM Central US time). CPI Trainees are expected to check in to each class via email. Everyone is given 24-36 hours to check in to that day's lesson. If there are extenuating circumstances and one cannot view that day's lesson within 24-36 hours, special arrangements may be made, or the Board may recommend the Trainee join the next Online Certification (held every February and September). One has 1 year from application date to complete their training. TESTIMONIAL FROM CPI TRAINEE ONLINE: “Thank you so much for your encouragement Jessica (Guthrie, CPI Trainer). This has been such an uplifting experience…you all just take us thru every step so tenderly and with great patience. Attendance Policy and Refund Policy HERE. 8 Responses to "Considering Certification?" God bless, I love this form of exercise, i am very concern, for the fact that a lot of churches and schools are using the so called Christian Yoga as an exercise class. My daughters are attending a christian private school and I have received a form asking them to enroll on this new Christian Yoga classes. I have been a dance minister for over 5 years, I truly would like to become a CPI, and I pray that I can use that as an alternative, instead of Yoga. Hi, Bethania – Yes, I am very concerned about so-called “Christian yoga.” I would ask the administration of the school to take a look at this article: Why a Christian ALTERNATIVE to Yoga on our website (http://praisemoves.com/calt – it can also be printed out as a pdf). Hopefully they will see that Yoga (part of the Hindu religion) must not, indeed CANNOT be combined with Christianity (a relationship with Jesus Christ). Just as “Chrislam” (a sad attempt to mix Christianity and Islam) IS Islam; “Christian Yoga” IS Yoga. Even if they place the word “holy” or one of the sacred names of the Most High God in front of the word yoga, it most assuredly is NOT Christian. It is still yoga. And that’s my sanctified 2 centavos… Thank you for your question, Bethania. I hope the information will be helpful to you and your daughters. If you have any other questions about becoming a CPI, please feel free to contact us. Your dedication in the dance ministry would only be a blessing to your service in the realm of fitness ministry. God is faithful. Does this certification offer any CEC’s for AFAA or ACE? Yes, Rebecca! ACE awards .8 CECs and AFAA awards 4.5 CEUs for PraiseMoves Certification training. I just wanted to know if you are going to have CPI training weekends for 2012? Let us know if you have any more questions. We look forward to hearing from you! I am the Regional Co-ordinator for the Devon & Cornwall region, Christian Dance Fellowship of Great Britain, and a Registered (Level 3) Exercise Professional (UK). I’ve been teaching dance since 1996: to church groups, 50+, special needs, plus Israeli/Jewish/Messianic dance. I am now seeking a change of direction in what I teach and a friend who used to sit on Christian Dance Fellowship committee with me, rang me out of the blue and said she was doing this course. So I had a look at the website. I am amazed that you are using the Hebrew aleph-bet; having an interest in Hebraic worship I am particularly interested in what you are doing! I’ve been to Hebrew classes at the local synagogue; so would be ever so curious to see how the shapes of the Hebrew letters can be translated into movement. Also, as I’ve worked with special needs and people with limited mobility, I need a system of movement that is gentle on the body and also re-generates the spirit as well. Also, as I teach correct breathing and posture; I frequently encounter Christians who ask if I am teaching “Hatha Yoga” – No! I do NOT!!! The Hebrew word for breath is “Ruach” and what I do is try to encourage my classmembers (even, or should I say, particularly the non-Christians) to be open to whatever way G-d may wish to move in their lives. I am seeking the L-rd as to the right way forward at the moment; and am holding everything on your website in prayer before Him. Wonderful, Sue! We look forward to hearing from you.